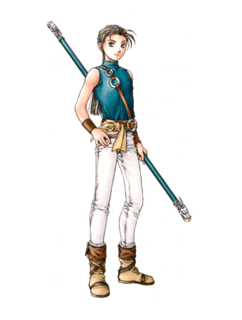 - Imagine if Suikoden 2 never existed ? This is where I'm starting from. 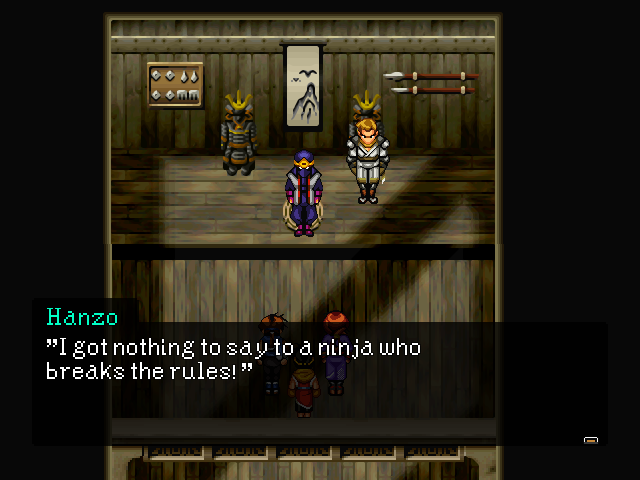 Suikoden A New Destiny is a sequel to the first Suikoden game. 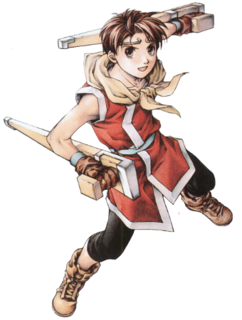 So let's forget about what you know about Suikoden 2 and let's see Riou in a new adventure !He'll soon have to fulfill a new destiny ! In the beginning, there was "darkness." Then finally, the "darkness" shed a "tear." From that "tear", the brothers Sword and Shield were born. battle for seven days and seven nights. At the end, Sword cut Shield and Shield smashed Sword. and Shield became the "True Runes"
The runes that all other runes were born from. Hey guys what's up ! There are some changes for me. 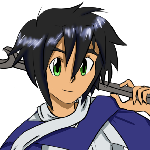 Maybe for some of you, already know that I'm helping an another guy for his Suikoden fan game. I gave him a couple of my scripts , we are helping each other. He's helping me doing some sprites too. I got a good beta tester for my game. I didn't receive a lot of requests, but I least got one guy. On the same not, I'm still working on finishing my intro that comes after the ACT 1. It takes some time because I'm a perfectionist but well it is going well so far. Will Miklotov be in this? He was always my favourite character. Him and Millie. 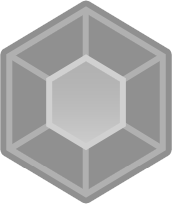 Will you continue this game? Some more information on the storyline is needed. Is this a sequel or a what-if around S2? I've always been a Suikoden fan and this looks like the sequel of S2 I am awaiting for! Would you be putting Tir Mcdohl into this video game? As, like, a secret, hidden character, like they did in the original second video game? He's not part of the 108 characters but he will be added as a hidden character. the battle system kinda looks like the one in magical star sign for the ds. Really nice concept and graphics. Love it. are you going to put nash latkje?